Shashi Tharoor is an award-winning author of 16 books of fiction and non-fiction, a politician and former international civil servant. 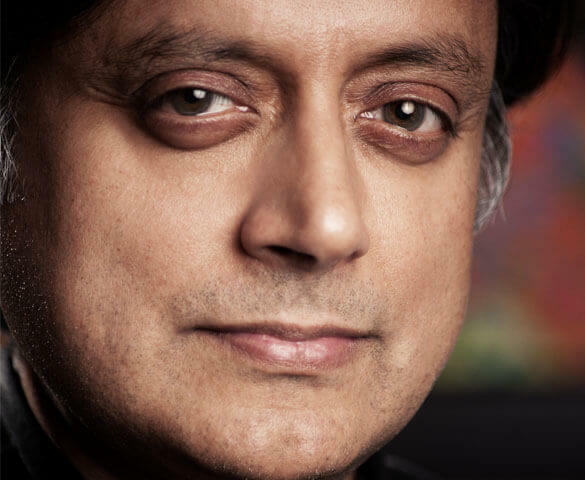 Dr. Tharoor’s books include “The Great Indian Novel”, the classic “India: From Midnight to the Millennium”, “Pax Indica: India and the World of the 21st Century”, and “India Shastra”. His latest book “Inglorious Empire: What the British Did to India” was released in 2016. He has won numerous literary awards, including a Commonwealth Writers’ Prize. Now a second-term member of India’s lower house of Parliament representing Thiruvananthapuram and Chairman of the Parliamentary Standing Committee on External Affairs, he has served as Minister of State for Human Resource Development and for External Affairs in the Government of India. During his nearly three-decade long career at the United Nations, he served as a peacekeeper, refugee worker and administrator at the highest levels, serving as Under-Secretary General during Kofi Annan’s leadership.